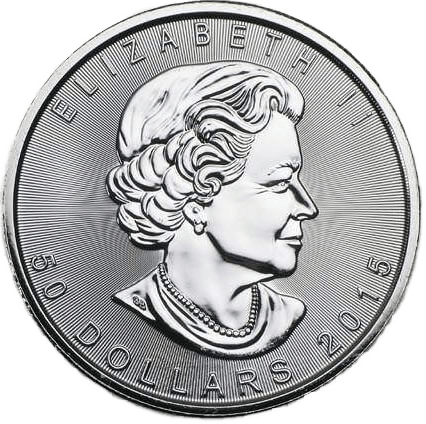 Precious metals investors are able to buy platinum coins, the 1oz Canadian Maple Leaf, through GoldVu at wholesale institutional rates. Please Note: This contract will be temporarily suspended from 5pm AEST Friday 29 July 2016. This is to help us focus on providing greater liquidity on our remaining products, as per client demand. See here for our remaining products. Through us you are able to source wholesale quantities of the 1oz Canadian Maple Leaf at some of the lowest premiums and with the smallest price spreads in the global bullion industry. You can currently buy platinum coins on 14 of our 16 physical precious metals markets worldwide. 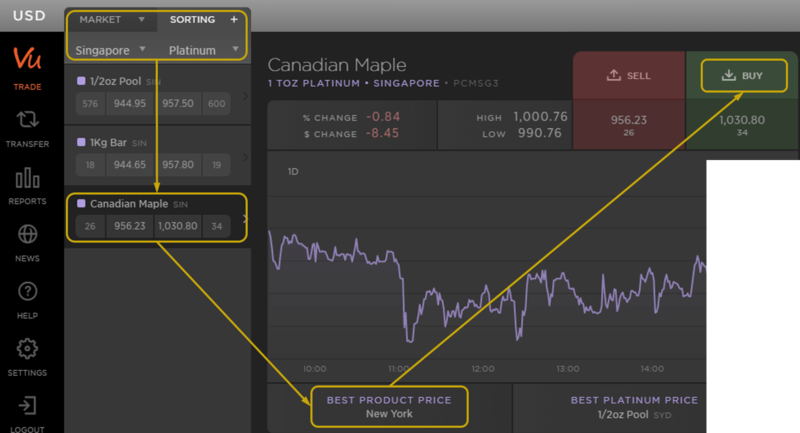 The 2 bullion markets that don’t currently offer the platinum Maple Leafs for trading are Dubai and Istanbul. To find other types of bullion products such as bars, gold or silver then go to our main products page where we list all of our wholesale physical precious metals products. As with all of its Maple Leaf coins series (gold & silver), the design of both faces of the coin has not really changed since it was first produced in 1988. The only modifications have been a few updated portraits of Queen Elizabeth II. This resilience of design has helped to make this coin series one of the most recognisable in the world. The 1 troy ounce Canadian Platinum Maple Leaf coin is produced by the Royal Canadian Mint and was first struck in 1988 with all denominations being minted to a fineness of 99.95%. 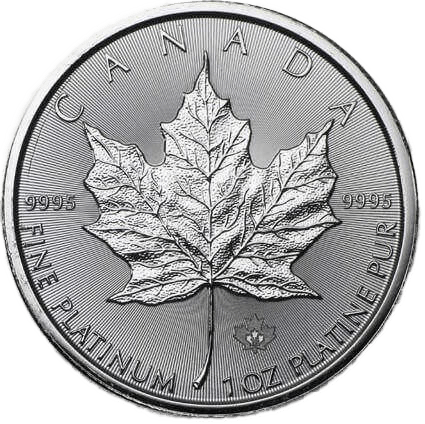 Unlike the 1 oz gold and silver Maple Leaf coins, production of the 1oz Platinum Maple Leafs has been intermittent, with nothing being minted between the years 2003-2008 inclusive with smaller denominations being produced until 2002. When you buy platinum coins from us we can only offer the currently minted 1 ounce coins for trade and we can't guarantee the year of mintage. All trading activities relating to the 1oz platinum coins on the ABX Global markets, including supply and withdrawal, are considered legally binding contracts between the parties involved. 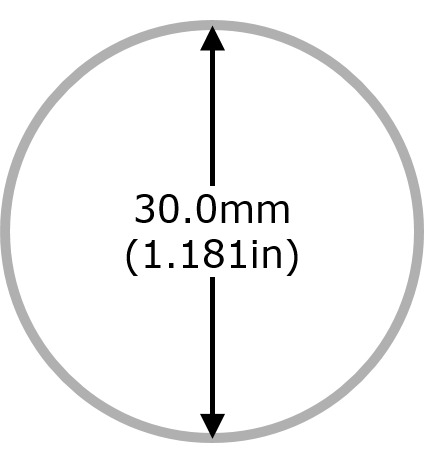 The contract details for our 1 ounce platinum Canadian Maple Leaf coins are shown in the table below. We have a full list of product contract specifications in our precious metals brochure that you can view or download as a pdf. If you are unsure on what any of the details mean, we have broken them down and explained the various terminology and entries. When you buy platinum coins that were minted from 2015 onwards, you will find that they have a new security feature called Bullion DNA that has been embedded into their design. It was introduced to the 1 ounce platinum Maple Leaf coins after its successful launch with the 1oz Canadian Maple Leaf gold coin. 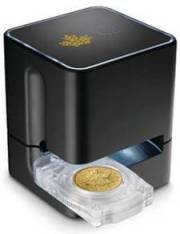 If the coin that you buy from us is from 2015 onwards then you can easily have it tested at authorised dealers / distributors, but in North America only. How Simple Is It to Buy Platinum Coins? It is a very simple process to find either the best priced 1 ounce platinum coin or the best priced platinum product on our global markets. Know of an Easier Way? How much simpler can it be to search 7 countries and 9 physical wholesale precious metals markets to find the cheapest platinum globally? If your dealer doesn't do this then how are you possibly meant to get the best prices? GoldVu gives you to instantly search worldwide for pretty much the best wholesale prices on earth! Contact us if you have any queries before you buy platinum coins. But if you are happy and know what you want, you can start buying any of our physical products and either have them safely privately vaulted internationally or delivered to you.